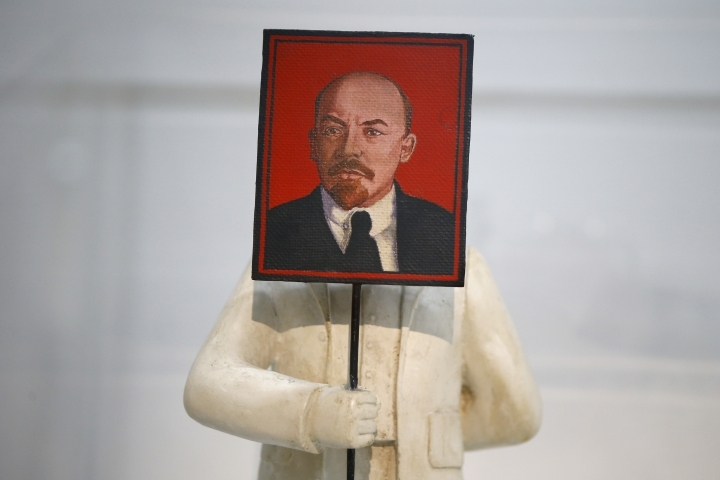 PARIS — An exhibition with more than 250 works of Russian and Soviet art, donated by one of Russia's richest oligarchs, opened Tuesday at the Pompidou Center in Paris. 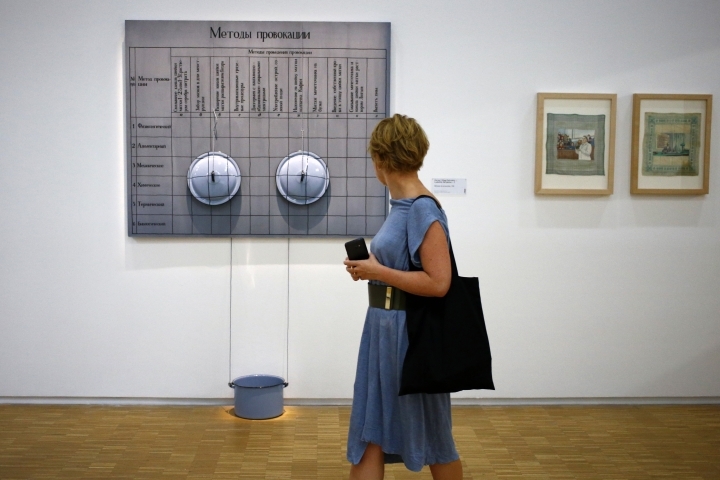 Vladimir Potanin, who wasn't present for the formal opening, initiated the donation of the art to France's national modern art museum in a bid to strengthen cultural ties. 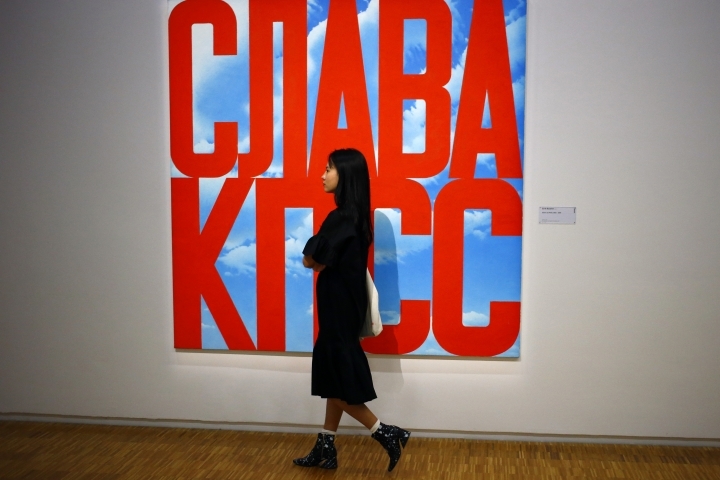 He has previously described the collection as "a symbolic act that aims to encourage Russian art in living culture." 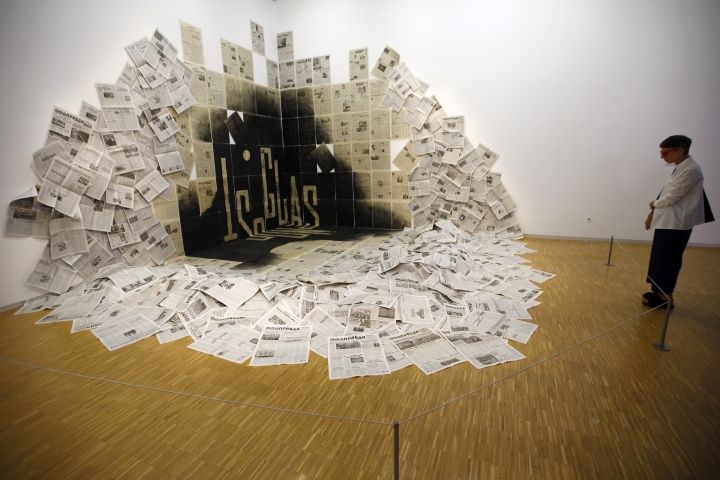 The 55-year-old's charitable organization, the Vladimir Potanin Foundation, was the main contributor of works to the museum, which houses the best collection of Russian modern art of the first half of the twentieth century, according to Bernard Blistene, Director of the National Museum of Modern Art. "It's not cultural PR," said Oksana Oracheva, the director general of the Vladimir Potanin Foundation. 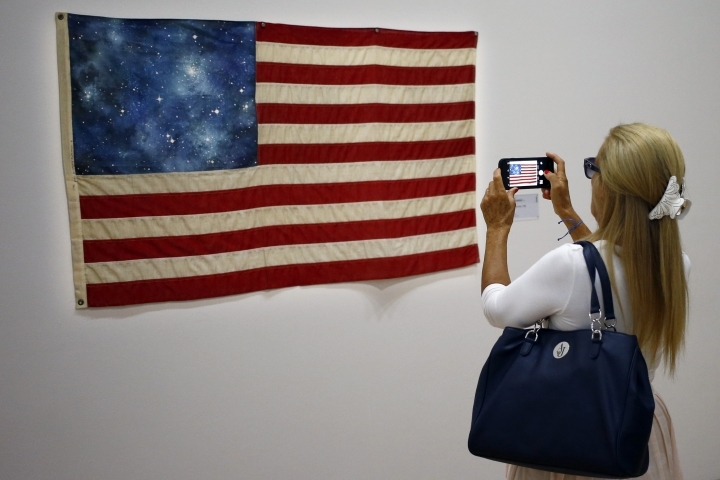 "It's trying to communicate Russia to the world through its soul, not its politics." The donations came after Potanin shocked Russia in 2010 by saying he'd spend most of his vast fortune on good causes and not on his family — several years before Microsoft founder Bill Gates made a similar pledge. "Mr. Potanin believed that it would be good not to give the entire wealth to his children, not to spoil them with money," Oracheva added. Potanin has been involved in protracted court battles with his wife of 30 years over a divorce settlement. Forbes magazine now ranks him as Russia's fourth-richest with an estimated fortune of $12.1 billion. The businessman has been one of the country's richest men since the 1990s — close to the Kremlin under Boris Yeltsin, Vladimir Putin and Dmitry Medvedev. The diverse artworks span four sprawling rooms, several decades and over sixty artists — never lacking in irony. 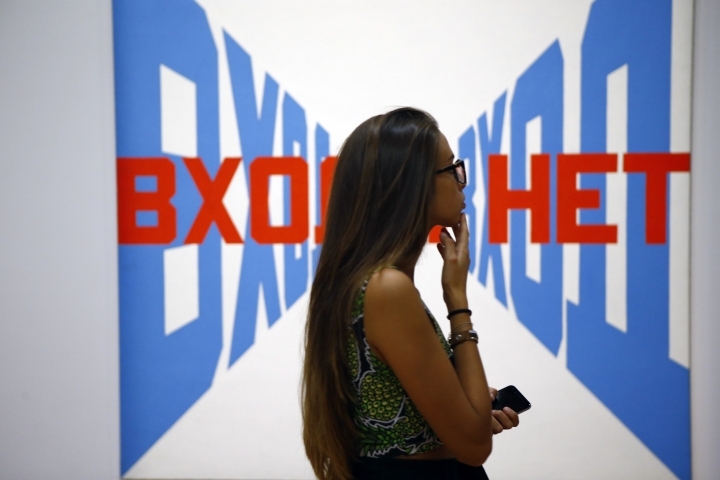 The most eye-catching works showcase Russia's response to Pop Art, the "Sots Art" movement. 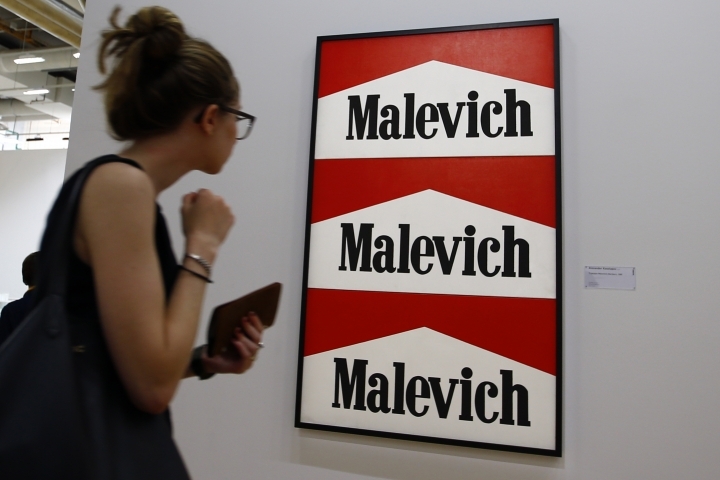 A 1985 triptych by Alexander Kosolapov features a Warholian reprint of the name of Russia's celebrated avant-garde painter Kasimir Malevich — all in the style of the Marlboro cigarette logo. 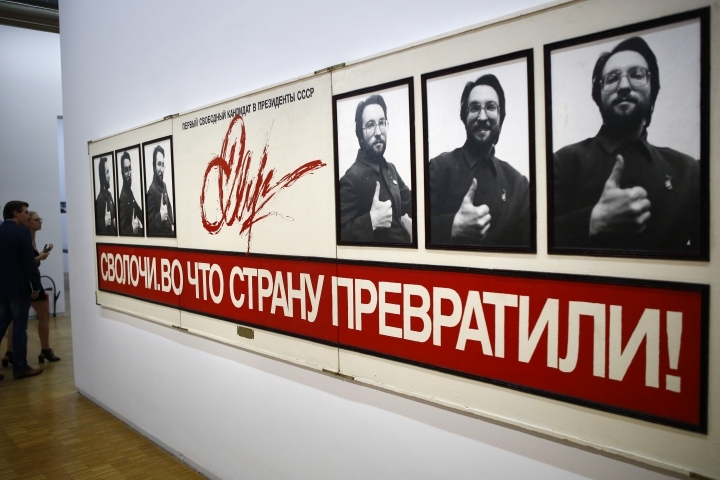 The exhibit of the vibrant works, which also represents 1970s Russia and the movement of artists Boris Orlov and Leonid Sokov, will be shown from Sept. 14 to March 27.